Juanita, WA is a desirable neighborhood that lies to the north (but is a part of Kirkland). It lies along the northeast shore of Lake Washington and offers superb living with upscale boutiques, big box stores and recreation opportunities. It is generally considered to be a quiet community nestled amongst the trees. We provide a full suite of property management and property maintenance services to Owners and Tenants in most of Seattle's popular neighborhoods — including Kirkland, Issaquah, Bellevue. We also manage properties in neighborhoods like Clyde Hill, Totem Lake, Mill Creek, and more. So whether you are looking for a property manager for your Juanita rental, or a tenant looking to rent a property, we can help. We know the neighborhoods & market rents, to give the best fit for each owner and tenant. The rental properties in Juanita are a mix of upper-class, private estates along the lake shore and apartment communities further inland. There are also some townhomes and condos in Juanita. 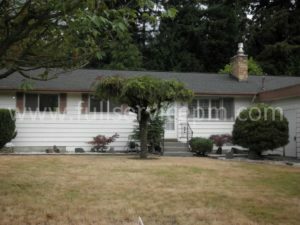 If you need a good property manager in Juanita, Full Service Property Management can take care of your needs. And we can take care of your property maintenance needs also. From maintenance requests to turnovers, our staff of experienced property maintenance personnel are efficient and do quality work. Our in-house handymen work all day, every day on maintenance.